This necklace is an ideal accessory for dresses,denims,casual wear. 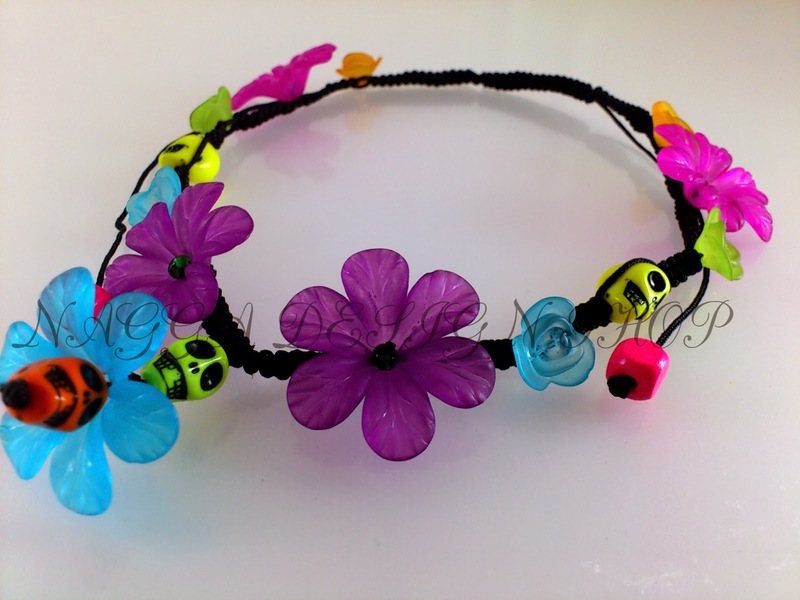 It is made with combination of yellow,orange plastic skulls;orange,green,blue small plastic flowers;pink,purple,blue big plastic flowers,macrame cord(polyester). You can find this on :https://www.etsy.com/listing/171732736/skull-flower-macrame-teen-necklace?